My personal theory of distance education (a super set of online learning) incorporates a number of essential elements. First off, you will only learn when you are motivated to do so. So stop for a minute and ask the question “How am I motivated”. The answer might come as a surprise. Remove the pain and make it fun. What can be painful about distant education? If you do not know how to close the distance gap and establish a communication channel, it will be very painful. The barriers have to be removed. As an example, if I am going to take an online course and I do not have the information necessary to get online, I will become very frustrated. The first barrier is just getting connected. I do not know the address of the online environment. Where do I get this information? Once I find the address, where are the keys to get in? If I do not know what my username and password is, then I am ready to quit. Now that I am finally in the learning environment, how do I make my way to the place where I am supposed to be. How do I interact and talk with the instructor and other students? How do i share information on the screen with others? All of these technology issues can totally demotivate the student from learning. So motivation is a key element. So assume that there is no barrier to motivation. The next element of this theory is communication. Do I have access to share ideas and information freely with others. Can I be interactive in my communication. Having a system that comes close to real life interaction with another person face to face would be the best. If I were an apprentice, learning a trade, I would want my master craft teacher at my disposal and have the ability to interact, ask questions and share information easily with me. As the information was shared, it would stimulate me to ask even more detailed question and build upon my knowledge. Without communication, you are quickly lost. The guide has left you in the wilderness on your own. You need to be able to seek help when you need it. We all need to have a back up plan for help when we need it. Good communications is essential. The third component of distant education is the quality of the content. Rich media that is interactive and illustrative is important part of learning. There is a lot of research that involves the value of sensory cognition. Many people learn from visual aides and having the ability to interact and experiment with the content. The learning environment is a key and important component of the learning process. Keep in mind that learning is only half of the distance educational process. How we learn and where we learn is very can play a big part in how effective we are in our education. The definition of synchronous implies that we are synchronized with the instructor and the other students. We are bound within the same time continuum. In other words, you are real time with the process. For example, if I were instructing you how to land an airplane in an emergency situation, you would not want me to do this with email. The immediacy of the situation would require that I have prompt, direct communication with no delays. My responses would require immediate assessment and feedback. There would be no opportunity to ponder my thoughts and delay my interaction. Asynchronous, simply means – not synchronous. We could can communicate with as much time delay that is needed. The demand of being present at a specific time to learn the material and the pace of interaction has fallen out of the learning equation. Asynchronous could work fine if there is no need for immediate feedback. For example, if I want to learn how to change a tire, I can learn about it at my own pace and not need to depend on anyone else to immediately provide insights or guidance. On the other hand if I want to learn how to make a casserole, the timing might be a very important factor (take it our of the oven now). 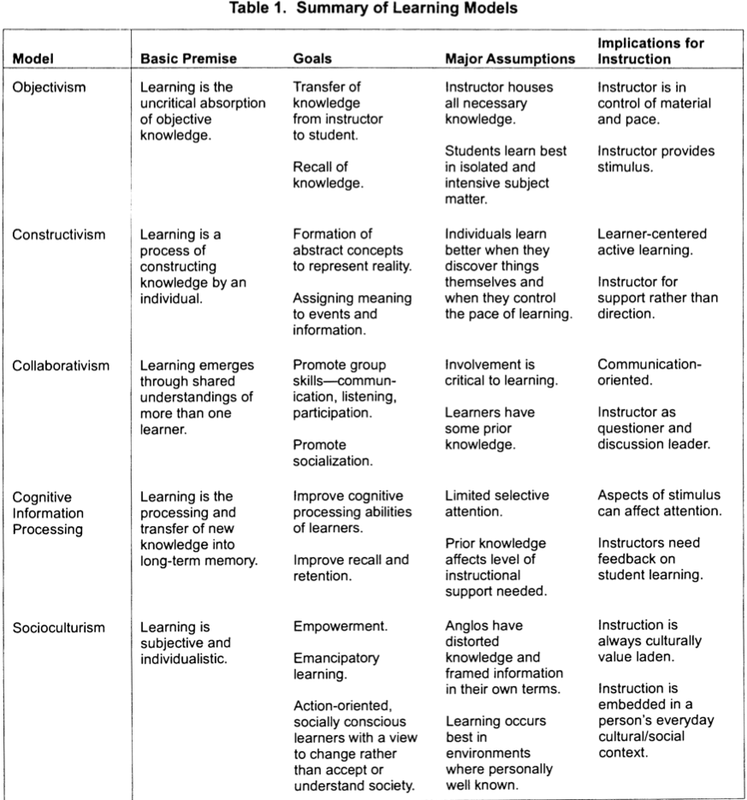 What is better for fostering online learning is a matter of preference and circumstances. 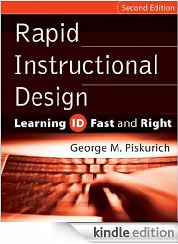 If is a function of the content that is being taught and the importance of getting immediate feedback. It is like asking the question, what is better a fork or a spoon when eating a meal. The answer is – it depends on what you are eating. The same applies here – it depends on what you are trying to learn. Watching a video on how to replace a water heater might be sufficient to get the job done. Watching the video and then having a synchronous session with experts and others who have replaced a water heater might yield a better outcome. The blended approach could work fine. It does not have to be one or the other. Up until now I have been confused and causing confusion by using the improper terminology. I often ask the question to a small audience, do you like your coffee regular? (assuming that they do indeed drink coffee). The definition of coffee regular takes on different meanings in different parts of the country. Texas regular is “black” and New York regular is “cream and sugar”. Taking the idea of an operational definition into the world of distance education. I recently read a really good definition for distance education. I have been calling it e-learning and distance learning for the longest time. Moore and Kearsley, in their book Distance Education: A systems view of online learning, provide a good operational definition. Distance Education is teaching and planned learning in which teaching normally occurs in a place different than learning, requiring communication through technologies as well as special institutional organization. This definition is rather profound for it establishes a foundation to bring further clarification and detail. It involves both the teacher and the student. It established the norm of being in two physically different locations for the student and teacher. Technology is a requirement for communication – that is not optional. Institutional organization eludes to the “system” that is needed. The system will include what will be taught, the best messaging and the appropriate balance of media and technology that will be used. Still not sure what this calls is all about. I know that Dr Warren has a strong beleif in Jurgen Habermas and might consider himself a disciple of sorts. I did learn what LTCA stands for Learning and Teaching as a Communicative Action and defines four categories: Normative – Strategic – Constative – Dramaturgical. Reading through Habermas – I conclued he is a rational reconstructionist – which means to translate intutive knowledge into a logical form and puts meanings into language. I also learned about pragmatics. It is a subfield of linguistics which studies the ways in which context contributes to meaning. Speech acts is another new concept- promising, ordering, greeting, warning, inviting, congratulating, etc. Logical positivism tests to see if sience is involved – it is either true or false. Ontology and metaphysics is non-science. As I read through Habermas, I had to constantly do a google search on the various people that he referenced. So here I am taking my next round of classes. What I know going into this sessions is very limited. I know I paid $3700 for a couple of courses. One course is on statistics and research and the other class – this one is not at all clear what we are about to do. It appears to be very unstructured and backed up with a lot of very expensive books. Two from Bernstein and another one from Habermas. We are going to use another tool, which could be exciting. So far I have become familiar with Skype, Adobe Connect, BlackBoard, Moodle and now Schoolology. Each of these tools I would not have any experience with unless it was for the UNT study program. I am glad to know that I have some of the same students that I have worked with in the past. It will be interesting to see what the attrition rate will be with this cohort. I am excited about having the opportunity to experience another professor too. The entire process is really confusing – even though there are instructions etc. Knowing how to use Shcolology will take some getting used to. Maybe there will be some kind of training on how we are going to use it. There appears to be a lot of flexibility and unused features with all these different learning environments. I appreciate the warning on reading Habermas. It might as well been not translated to English. He references an entire host of his cronies that I will have to do further research on! Starting to get a handle on the course delivery using the Internet. There is no end to the nuances we can experience! One mistyped URL or another version of the password and you can find yourself in the ditch. One thing I truly believe and never doubt – YOU BECOME WHAT YOU THINK ABOUT – so it will be interesting to see what we think about the next few months in this class! The past few days were englightening. I had a chance to meet at length with a variety of very interesting people, including cohorts, faculty and mentors. I feel very much enganged in a new learning opportunity. There is such a wide variety of talent and resources available with these new relationships. Unlike a lot of first time meetings, this meeting had a long term commitment associated with it. There is a four year learning exercise tied to these relatinships, with potential for many more years to follow. It was really good to see the passion of the faculty. They are all on purpose and are so willling to share and engage with us. I am looking forward to following up with the faculty to see how we can estabilish a brain learning technology center for UNT. Was delighted to see this course book available on Amazon in the Kindle edition. Saves me hauling around a huge book across the country on the airplane! Old paper written pre-World Wide Web (1995) about technology and learning. Personally I have good experience with a blended learning approach. The didactic classroom lecture with a really smart presenter has great value. I also benefit from the collaborative approach where the shared view and ideas are openly discussed and interaction takes place. There is no “The Way” to learn which meets everyone in the same fashion. My retention is a function of frequency. The more often I engage in learning a particular item, the better I retain the knowledge and information. I am subscribe to the benefits of multi-media. The old adage from Confucius (Chinese philosopher & reformer 551 BC – 479 BC) – “I see and I forget, I hear and I remember, I do and I understand” applies very much to my best learning style.